Thirteen quintessential Raleigh restaurants for newbies and newcomers to the Oak City! 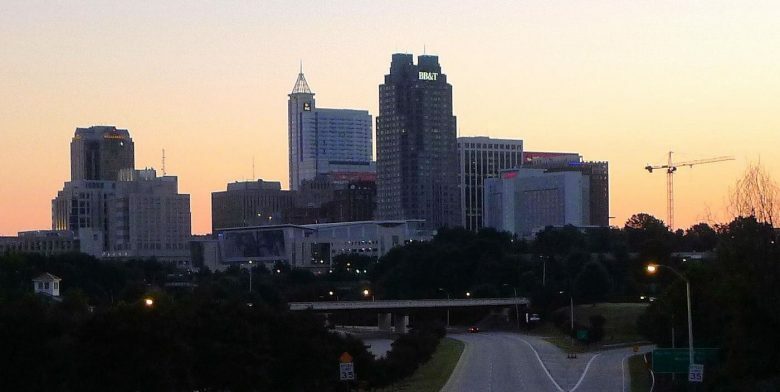 Welcome to Raleigh, NC – The Oak City! With all the love for Raleigh over the past five years, it’s become one of the fastest growing cities in the country resulting in Wake County welcoming 60+ new residents per day. So if you’re new to Raleigh I’m sure there’s part of you that wants to explore and get to know your adopted city. 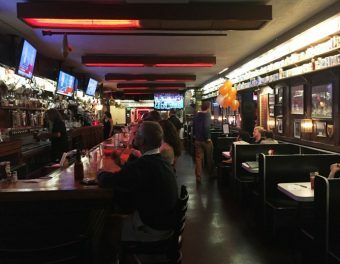 I came to the area about 12 years ago and I can tell you for certain that the Oak City did not have the food and dining choices it has today. 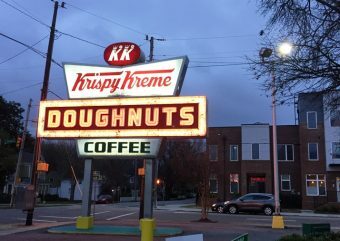 And as much as I love the new restaurant scene here, it’s always good to tip your hat to the tried and true options that represent the heart of what Raleigh is about. 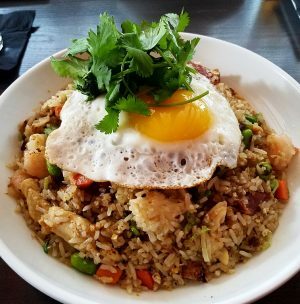 So I’ve pulled together a list of some fave, classic downtown Raleigh restaurants that will help you gain a true appreciation of your new hometown! 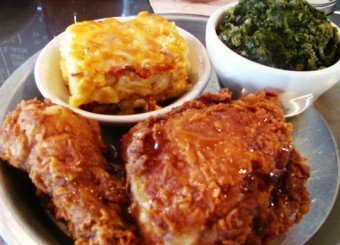 Fried chicken at Beasleys – Beasley’s Chicken and Honey hasn’t been in Raleigh that long, but you don’t want to miss the classic Southern eats at this hip eatery. And as one of the more popular offerings of James Beard award winner, Chef Ashley Christensen (Best Chefs of 2014), it would be remiss to leave it off this list! Love the fried chicken drizzled with local honey but don’t miss the starters like fried shrimp with smokey remoulade. 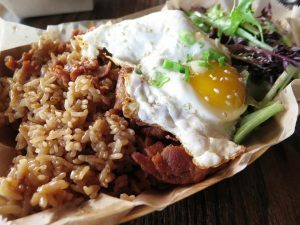 Laotian eats at Bida Manda – While Laotian probably wouldn’t be considered Southern eats, Bida Manda has made a big splash on the Raleigh dining scene. 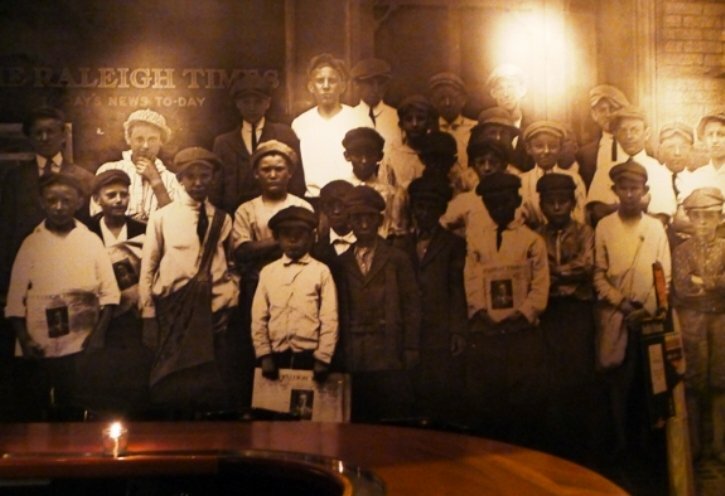 From its exquisite interior design to its flavorful and real Asian cuisine, Bida Manda stays true to its Laotian roots and still packs in the crowds since opening in 2012. 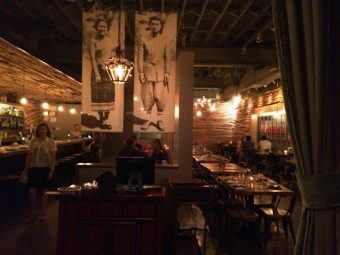 Brother and sister team, Vanvisa and Van Nolintha, have done their family and Raleigh proud with this great restaurant on busy Moore Square. Bida Manda is also a favorite of Mayor Nancy McFarlane! 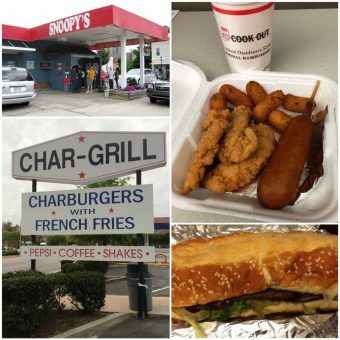 A late night visit to Char-Grill, Cook Out or Snoopy’s – If you’ve been out for a night on the town in Raleigh, it won’t be complete until you stop for a caloric, unhealthy late night snack at one of these classic grills! 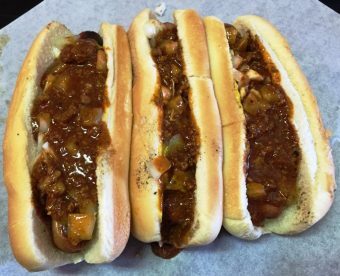 Choose from hot dogs slopped with chili, a barbeque sandwich with a corn-dog side or a burger off a flaming grill. All of these fast-food options are open late for your dining pleasure! 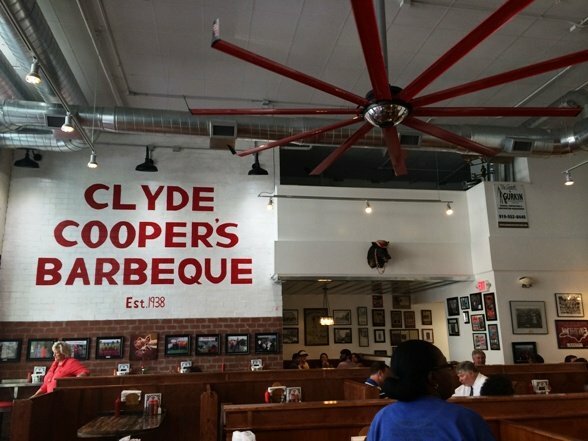 NC Barbeque at Clyde Coopers – Savory NC barbeque, ribs, collards, hush-puppies and banana pudding at this refreshed que restaurant. While Clyde Coopers has moved to a new space, it still has the charm of its original space along with really reasonable prices for downtown Raleigh. It’s been around for nearly 80 years (founded 1938) and it’s still going strong! Beer and a pretzel at the Flying Saucer – Better known for its adult bevvies over its food, the Flying Saucer has been serving up great craft beer before it got so cool in Raleigh! 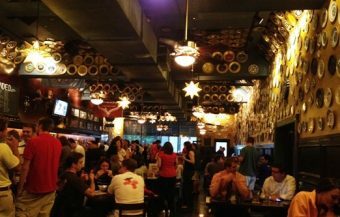 This German-style bier haus is popular and don’t forget to check out the UFO plates (earned by tasting 200+ beers) on the ceiling and walls. 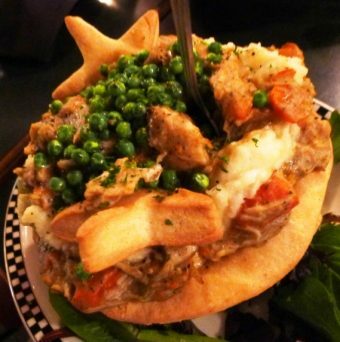 Comfort food and cake at Hayes Barton Cafe – This Raleigh hidden gem has been dishing out huge chicken pot-pies, meatloaf, mussels and more for years! And once you get past those huge plates of comfort food, save room for a slice of their famous coconut cake. Or any other flavors they have in their refrigerated case. A wonderful indulgence and throw-back dining experience at Five Points, look for their discrete doorway on Fairview Road. A cheeseburger at the Mecca – Another Raleigh institution that has been in business for over 85 years, the Mecca is a beautifully restored, classic diner. 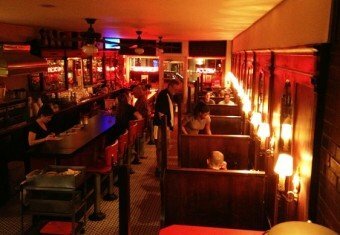 High-back wooden booths, vinyl red stools at the counter, enjoy a delicious char-broiled cheese burger (chopped sirloin) with fries and take a trip back in time! Open late on the weekends (1:00 am), the Mecca also serves up beer and liquor. 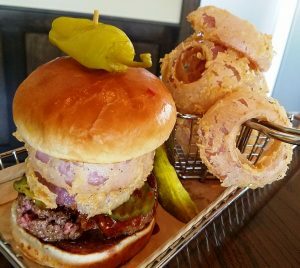 A steak or sandwich and scotch whiskey at the Players Retreat – A popular dining option for the Wolfpack, this casual restaurant near NC State serves up burgers, sandwiches, steak and other American favorites in a casual setting. A fun spot to catch a game, the bartenders here are professionals. They also have a fantastic selection of single malt scotch whiskeys here along with a great sidewalk patio! Raleigh Times Bar – Before Raleigh got cool, the Raleigh Times Bar was here on Hargett Street serving up great bar food and brews in its converted newspaper shop space. And over the years the Raleigh Times has expanded into three different rooms and a roof-top, testament to its long-standing success. Grabbing a burger and cheesy fries here is a must-do for locals! 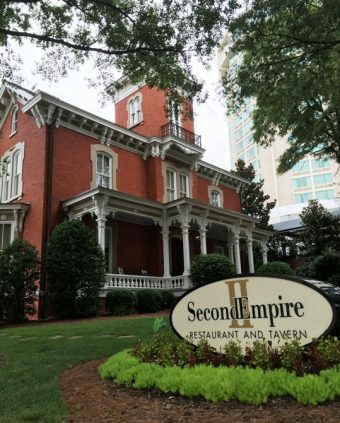 Dinner at the Second Empire – A beautifully restored Victorian mansion, Second Empire has been a Raleigh favorite for special occasion and celebration dinners. Their contemporary Southern and seasonal cuisine is paired with impeccable service for a deluxe dining experience. They also have a more casual dining room (The Tavern) serving up the same menu in a pub and greenhouse setting. 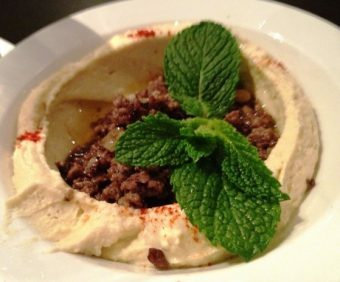 Lebanese cuisine at Sitti – Enjoy this lovely restaurant owned by the Saleh family of Raleigh. Known for their popular Neomonde cafe, Sitti upgrades their delicious Lebanese-Mediterranean eats to the next level. Choose from kabobs, kibbee, falafel and much more in a warm cozy dining room. Sitti is definitely a favorite of my readers here at NC Triangle Dining! So as new residents to Raleigh, the Oak City, I hope that you appreciate all the great food we have to offer. I hope you make time to check out these long-time favorites to meet the locals. And once you finish up these Raleigh classics, check out my full list of Triangle Top Three’s (the best restaurants and food in the Triangle) and go explore the rest of the area. And I can tell you that it all tastes a bit better when you can throw down some y’all’s with us here in the area, welcome to Raleigh!